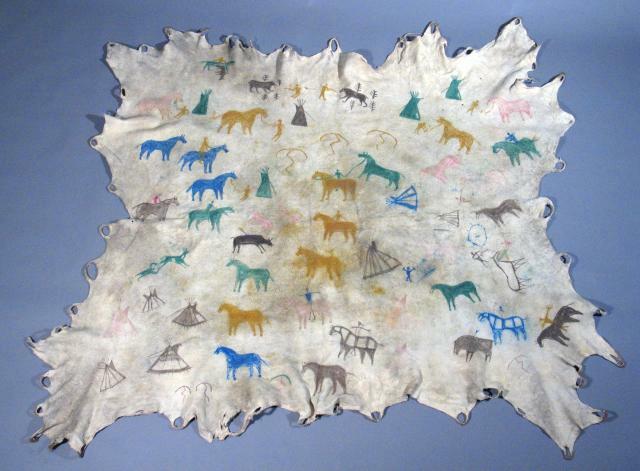 The painted Blackfeet elk skin robe in the museum's collection came from Montana and is believed to have been painted by Mike Left Arm, showing his own exploits. The paintings depict primarily horse stealing scenes. Horses were important to the Blackfeet way of life, and it was a great achievement to acquire them through theft. This Crow gun case was collected by Colonel J.J. Upham, a Milwaukee native, during his military service in the mid to late 1800s on the Western frontier. 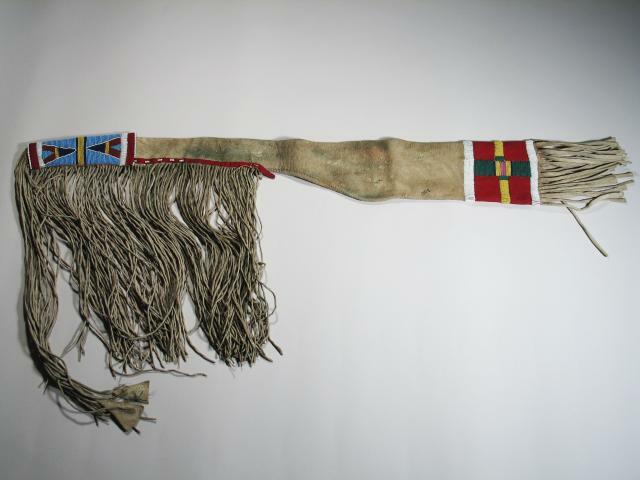 Upham collected a variety of American Indian materials while stationed at military forts. His collection was donated to the museum by his wife shortly after his death in 1898. The gun case is an excellent and rare example of Crow leather craftsmanship and bead working ability. The Carl P. Dietz Collection of business machines currently numbers approximately 1200 machines of which 900 are typewriters. The collection reflects the diversity of typewriter manufacturers and the development of machines from the 1870s to the late 1980s. 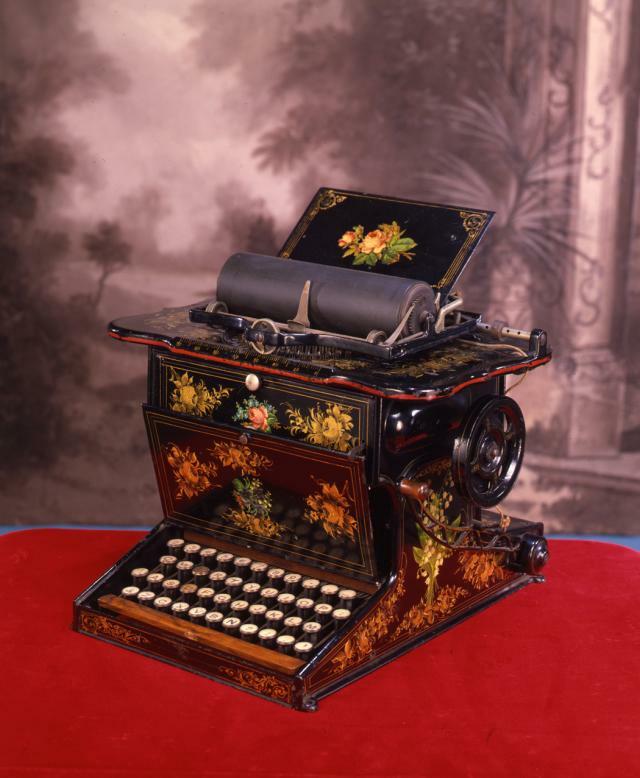 The Dietz Collection holds Museum-made models of the earliest typewriters designed by Christopher Latham Sholes, post 1873 Remington production models and many seminal typewriters of the late 19th and early 20th centuries. The business machine collection is supplemented with a collection of typewriter trade literature (manuals & advertisements) and the James Densmore Papers related to the refinement of the Sholes typewriter. Carl Petrius Dietz (1875-1957) came to Milwaukee with his German immigrant parents in 1881. Dietz worked in various business endeavors before his election as justice of the peace in 1902. A well known socialist party member, he later served as an acting judge and City comptroller. He left office in 1912 to develop an insurance agency and was again elected to public office (10th Ward Alderman) in 1918. Dietz served on the board of the Milwaukee Public Library, was a Mason, a Knight of Pythias and a member of the Old Setter's Club of Milwaukee. 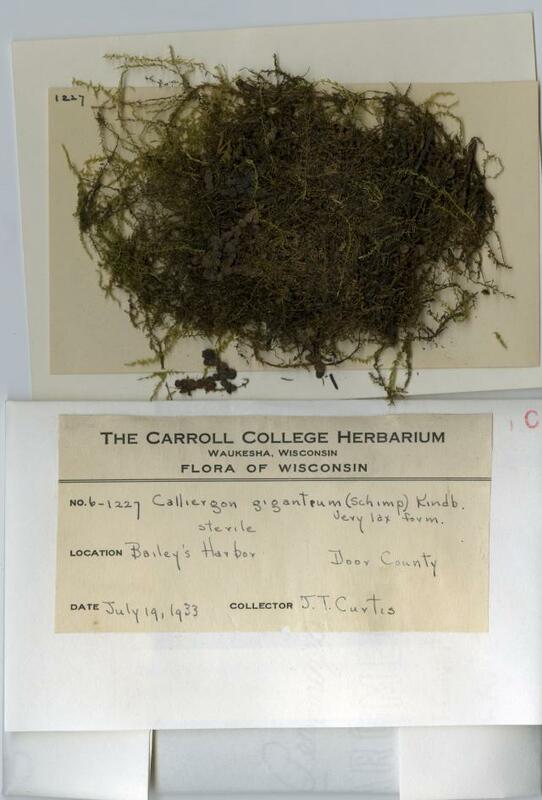 Carl P. Dietz worked with the Milwaukee Public Museum from the 1920s until his death to build a collection of typewriters memorializing the work of Sholes and to place the typewriter squarely in Milwaukee and American history. 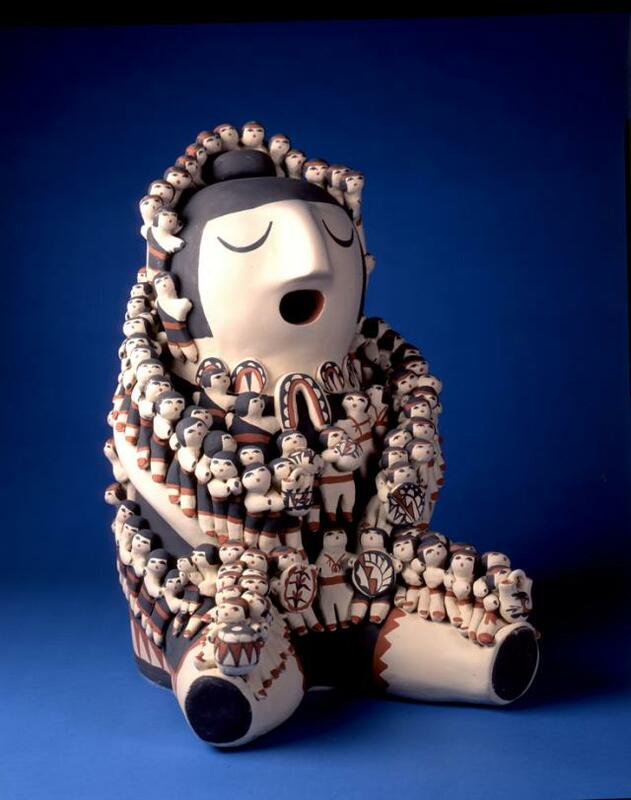 This impressive ceramic storyteller was made by renowned Southwest artist Mary E. Toya of Jemez Pueblo in the early 1980s. At 19 inches tall and with 115 children attached, this is one of the largest and most intricate pieces of its kind. Storyteller figures symbolize the wisdom of elders and illustrate the importance of contact between generations. The value of stories is highly prized by American Indians and oral history is still a means of educating young people in the traditional knowledge and values of their cultures. 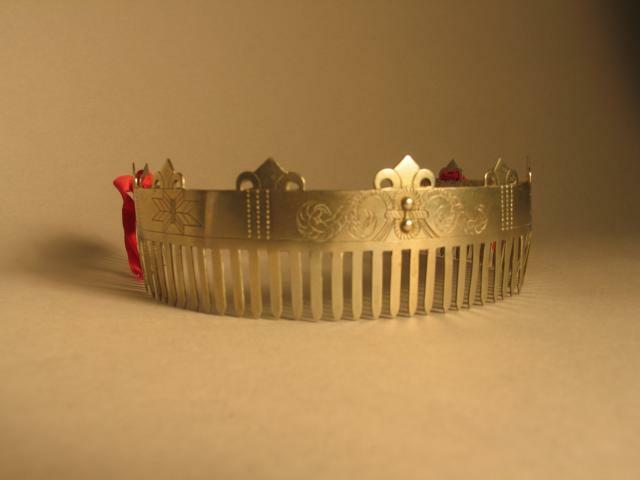 The museum acquired this piece in 1997 through the generosity of the late Donald S. Ackerman, his son Mark Ackerman and his daughter Francine Huxley. Made by Milwaukeean John Meunier (1834-1919) and displayed at the American Centennial Exposition in Philadelphia in 1876, this rifle is considered one of the most handsome and well crafted schuetzen rifles extant. Meunier built this rifle as a tribute to his adopted Country and the discipline of German style target shooting (schuetzen). This .41 caliber percussion rifle boasts silver-washed and engraved steel furniture with gold inlay and a beautifully carved stock demonstrating the meticulous work of the Meunier shop and John Meunier's personal dedication to the sport of schuetzen. This 2600 pound sandstone contains 500 million year old animal tracks . 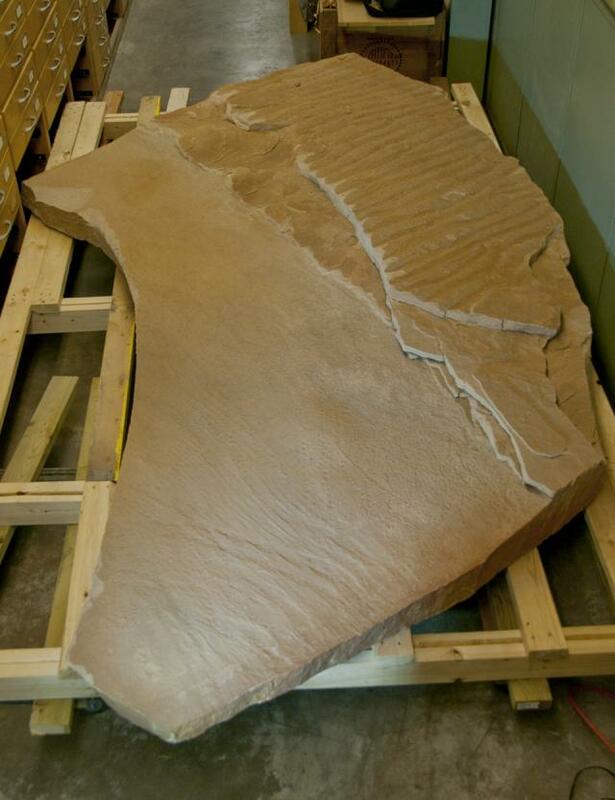 The fossil, donated by Eden Stone Company , is from Marathon County, Wisconsin and dates to the middle to late Cambrian period. The rock surface contains ripple marks and a fossil track named Diplichnites. The footprints were produced by a euthycarcinoid—an extinct, primitive arthropod. 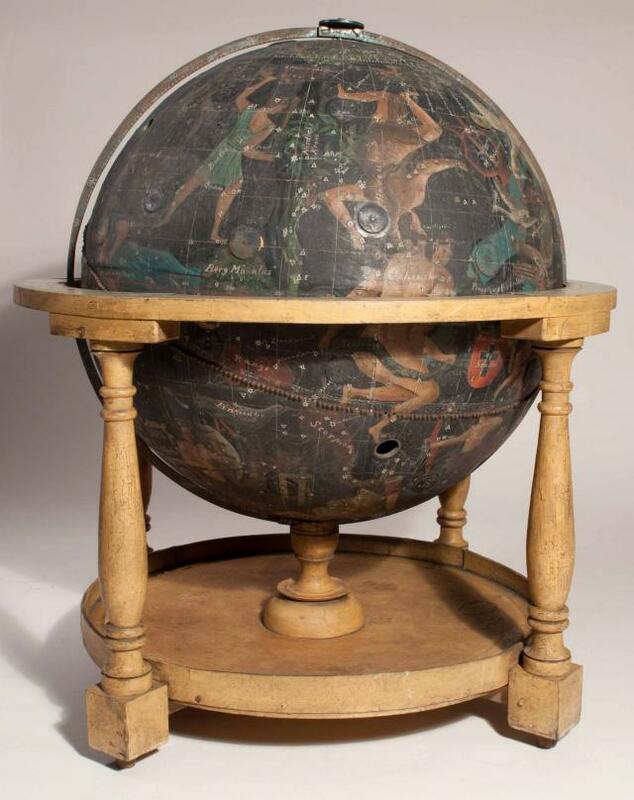 The Celestial Globe (H57842/29193) was donated to the Milwaukee Public Museum in 1903 along with its companion terrestrial globe (H59492) and a manual of cosmic and terrestrial observations (H57843). The globe was developed by Johann Oelrich Kroehnke (1810-1897), an immigrant to New Holstein, Wisconsin in 1847. Kroehnke was a merchant, farmer and community leader and was intensely interested in intellectual pursuits and education, often at the expense of his personal fortune. The globes were developed, hand-painted and built in Germany in the late 1830s by Kroehnke and brought to Wisconsin where they were used to educate his family and others in his community. Geographic data was updated between 1890 -1892 to coincide with American populations and New World geography found in the 1890 United States Census. The cichlid fishes of the genus Labeotropheus were first described in 1927, when the type species, L. fuelleborni, was described as a new species by the German ichthyologist Ernst Ahl. A second species, L. trewavasae, was described in 1956 by the British zoologist Geoffrey Fryer. For the next 50 years, despite the tremendous scientific attention paid to understanding and delineating the fantastic diversity of cichlid fishes, no further species of Labeotropheus were described; in fact, many ichthyologists believed that no further species of Labeotropheuscould possibly exist. In 2016, a description of two new species of Labeotropheus will be published by MPM Adjunct Curator and Research Fellow Dr. Michael J. Pauers. Doctor Pauers spent several years studying the body shapes of these fishes, and used this information, along with the unique breeding coloration of the males, to distinguish these two species from L. fuelleborni and L. trewavasae. Until the description is officially published, the names of these two new branches of the fish tree of life have to remain secret, so stay tuned for more news about these beautiful new fishes!